First Church has a 1968 Austin pipe organ with three manuals and 37 ranks. It was installed to coincide with the 300th anniversary of First Church. 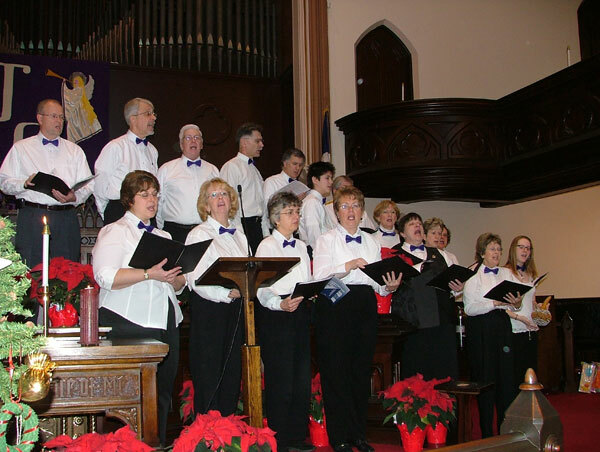 The goal was to provide an instrument which would be adequate for accompanying the choir and congregational singing, act as a solo instrument and work with other instruments. It can easily play all styles of the organ repertoire and has a rich resonance within the sanctuary walls. 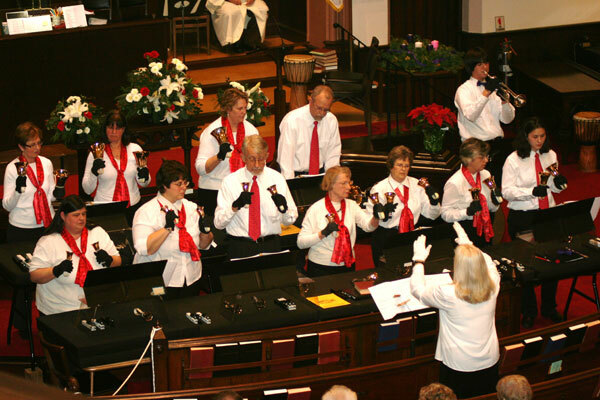 Our Heart in Hand Bell Choir rehearses on Monday evenings at 7:30p.m. We have a four octave set of Malmark bells. This group rehearses from September to June and plays in worship at special times of the year, especially at Christmas and Easter. 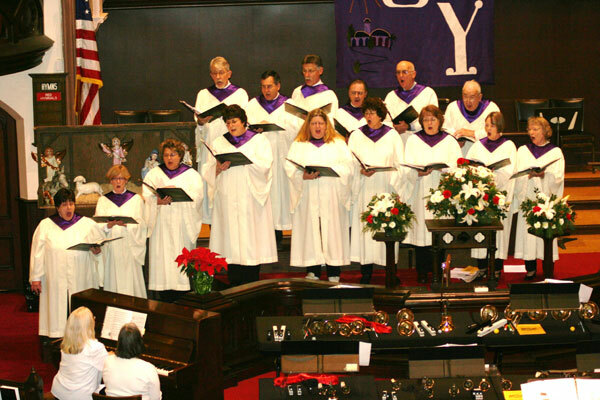 Our Senior Choir rehearses on Wednesday evenings at 7:30 p.m. and sings most every Sunday from September to June. Their repertoire ranges from Renaissance to Contemporary classic anthems. 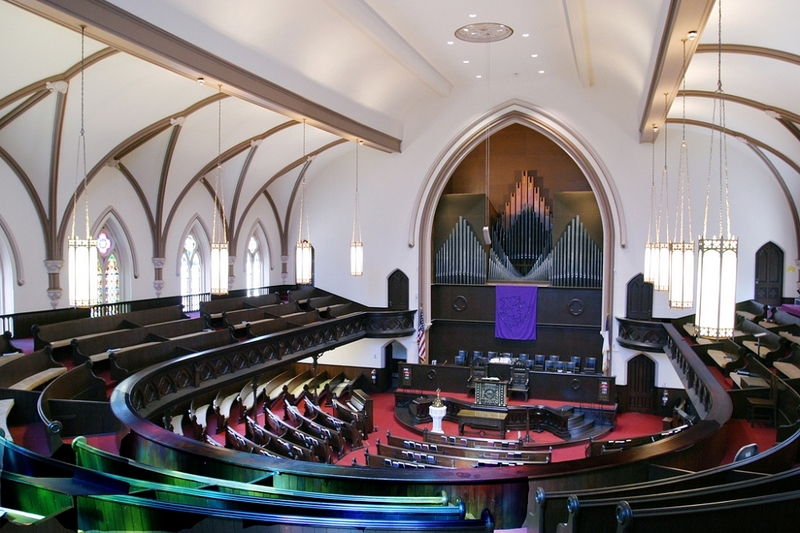 First Church boasts a large library of traditional choral anthems. Our Celebration Singers rehearse on Monday evenings at 6:15 p.m., and sings in worship once or twice a month from September to June. This Ensemble focuses on modern sacred music, including spirituals, gospels and songs of praise that celebrate life and God. Explore the ways we love God with all our hearts, minds, and souls through our worship. Explore the ways we love God with all our hearts through our commitment to building community with one another. Explore the ways we love God with all our minds through our commitment to learning.